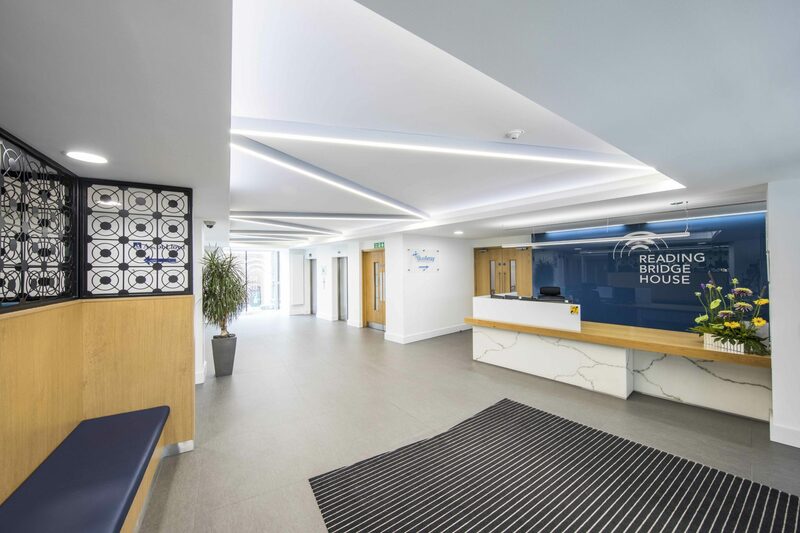 Bovis Homes contacted Woodhouse with an office move soon approaching. 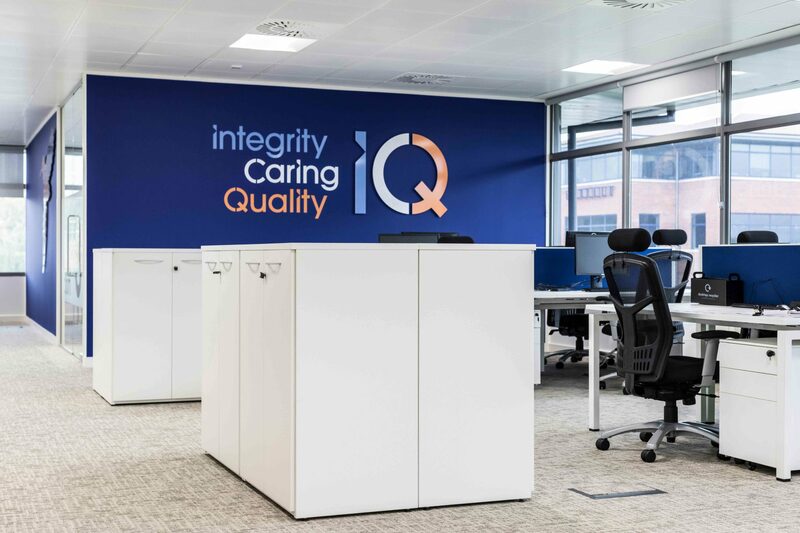 They were progressing from serviced offices to their own premium workplace. The project needed to be fast-tracked and they had a strict relocation date. 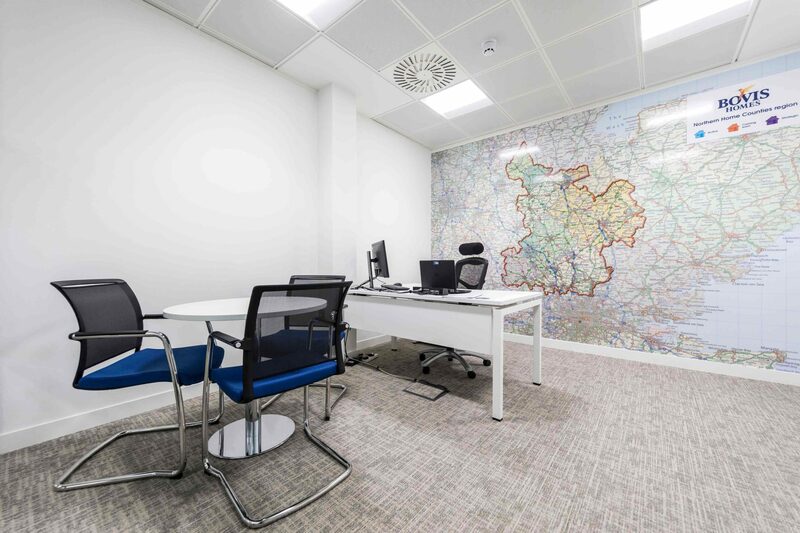 The main requirement for the new office was to provide plenty of space for their employees. They needed to have the facility to work on large layout plans comfortably, and the ability to work collaboratively when required. 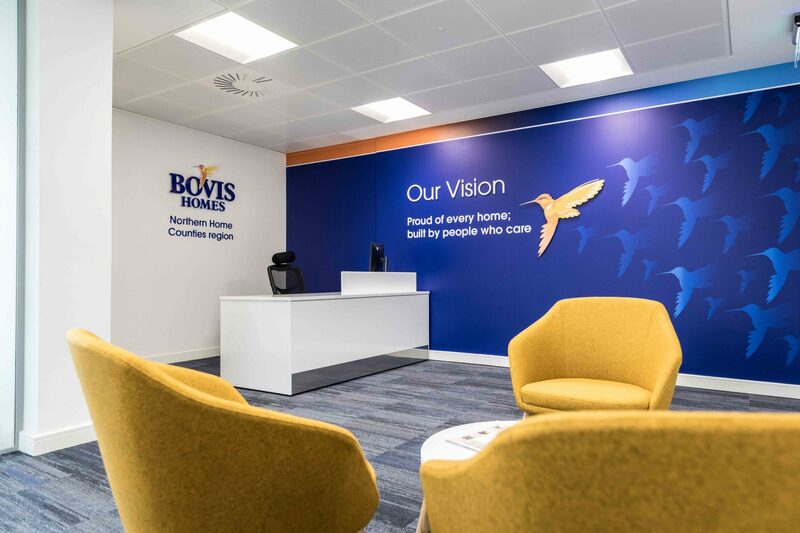 The 10,000 sq ft space allowed our designers to create an environment that reflected how the employees at Bovis Homes work. 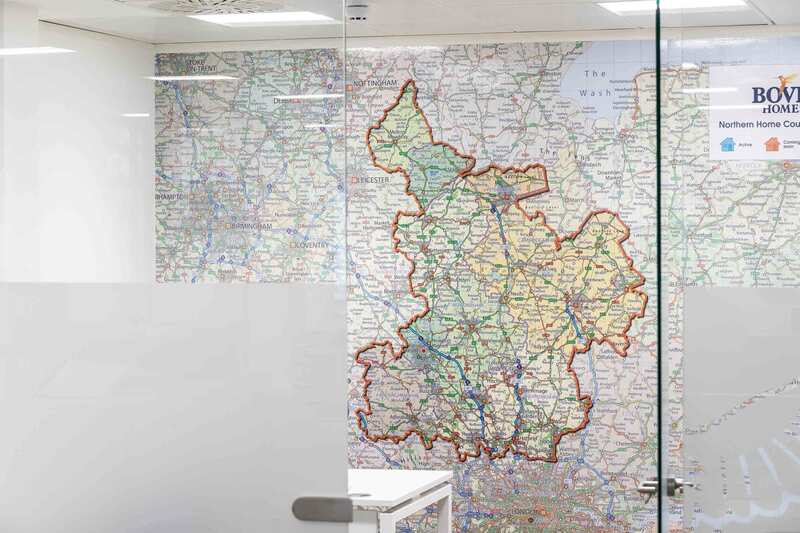 An expansive area was allocated to desking which provided ample room for them to work on large printed plans. 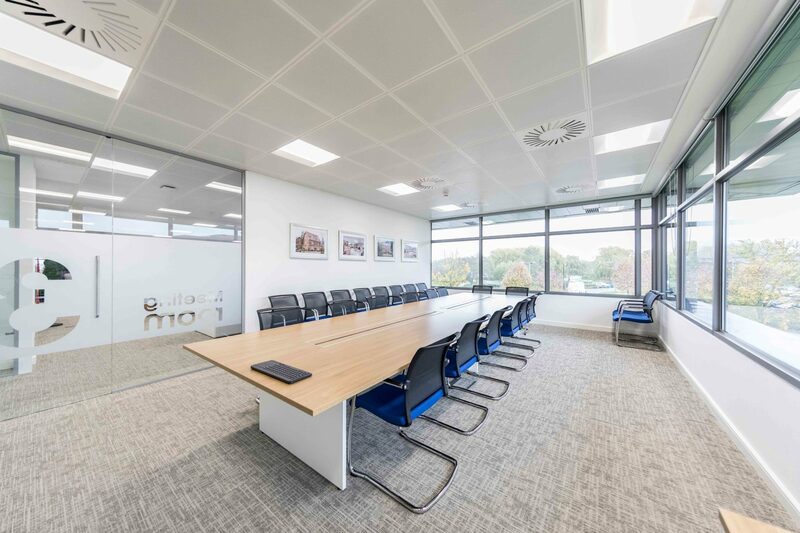 A variety of different sized meeting rooms accommodated bustling teamwork, or invited more focused discussion in the smaller spaces. 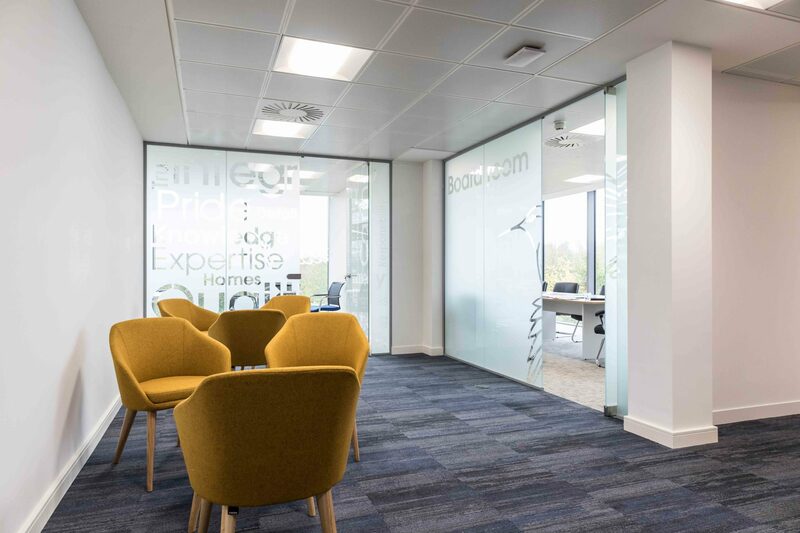 A bespoke project-launch meeting room was added for internal presentations. 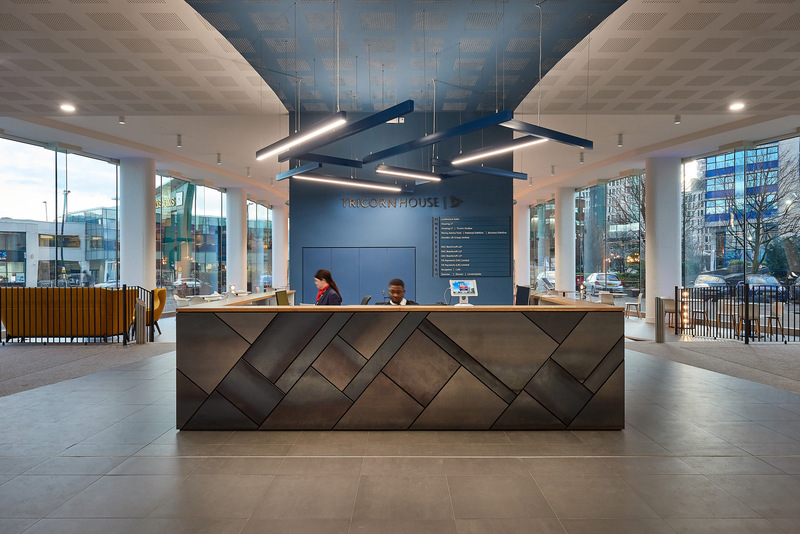 Each space in the office created a different atmosphere whether it was a space for concentration, functionality or comfort. 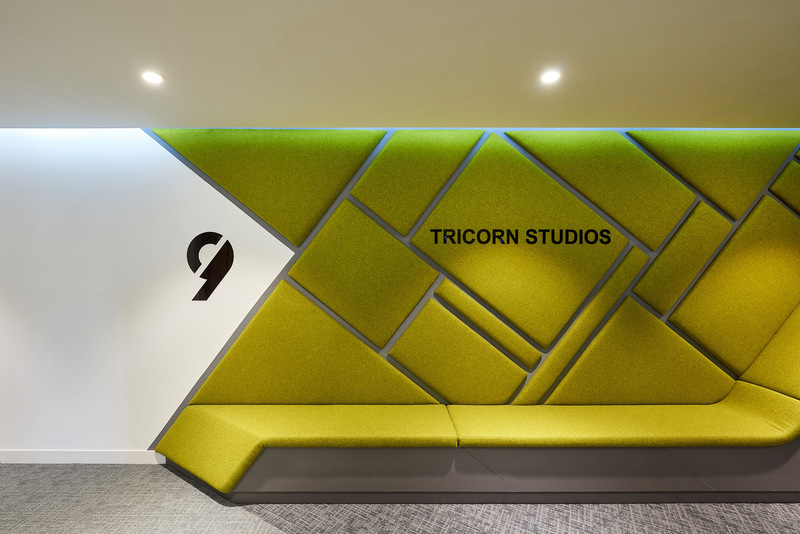 This was delivered through the use of lighting, furniture and careful colour selections. 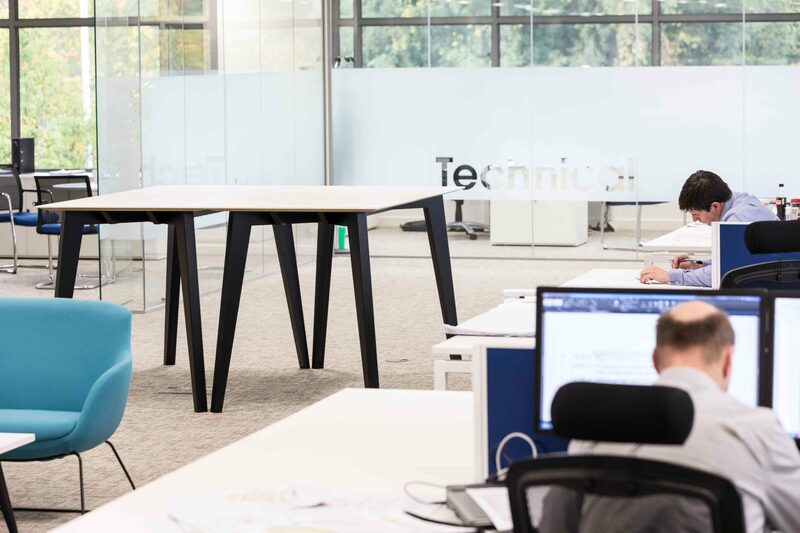 Stand-up tables were also used in the main office area to accommodate flexible ways of working and encourage employee movement. 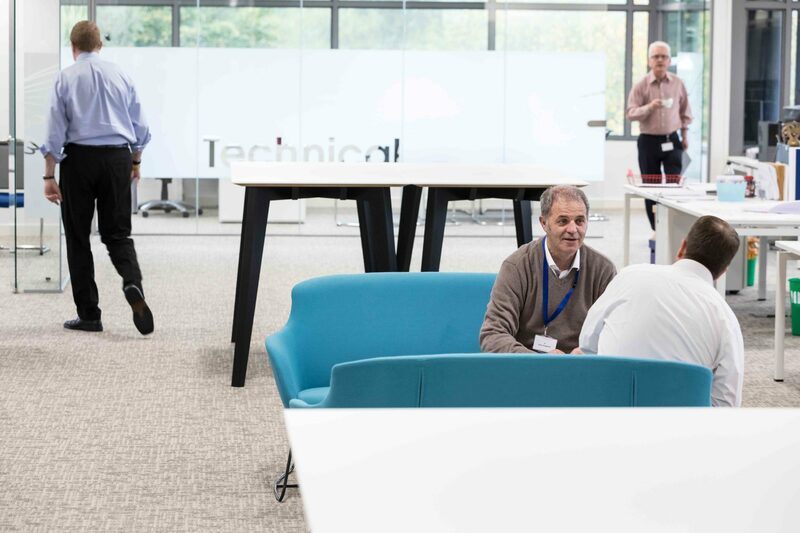 Ultimately the finished space provided an attractive, professional workplace for Bovis Homes’ employees to work efficiently and effectively in spacious surroundings. If you have an upcoming project that would you like to discuss, please click here. Your service was very good, better than I would've expected, very easy to work with.